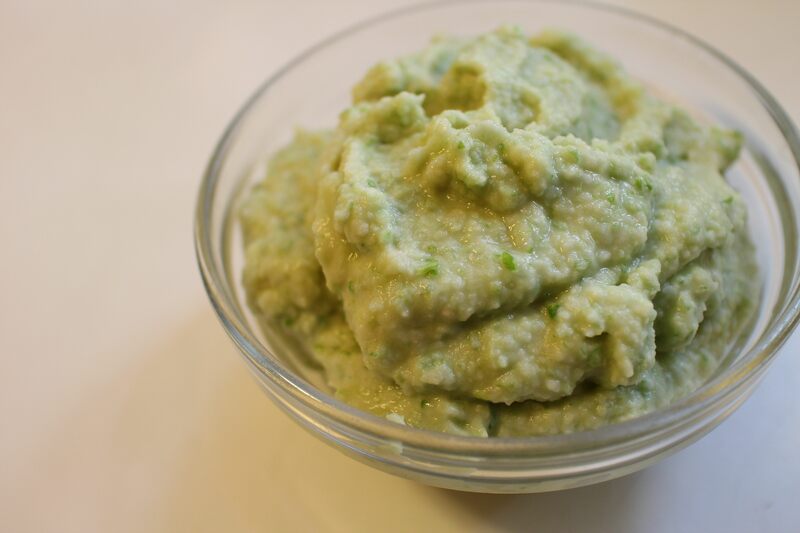 Garlic scape pesto stirred into white bean puree and sweetened with a dab of honey can be served warm as a vegetable dish or cool as a spread. It makes a terrific open-faced sandwich (known as a tartine) spread on crusty bread and topped with chopped tomato, herbs and chopped olives. Or a dip for pita chips or vegetables. I’ve been giving away armloads of garlic scapes and getting questions about how to use them, especially how to turn them into pesto. Compared to pesto made from tender greens such as basil, dill, cilantro, etc., which classically include nuts and sometimes grated cheese, I find that garlic scapes are study enough not to need the texture introduced by nuts. It has a similar texture and you don’t run the risk of serving it to people with nut allergies. 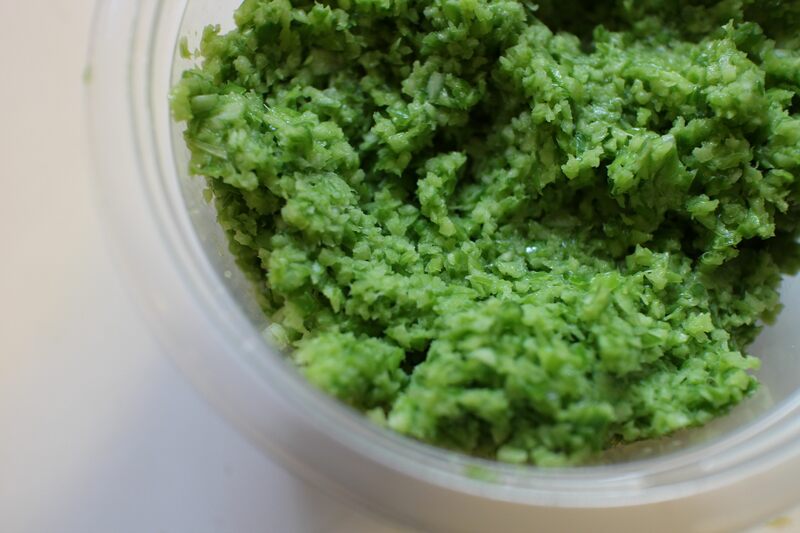 I make mine the simplest possible way, finely chopped in the food processor with Kosher or sea salt and a few glugs of olive (enough to achieve a pesto that can be spread). That’s it. Packed in small containers and stored in the freezer, it keeps for a year. Dried beans are a staple at our house. I cook a pot every week. While they take a few hours elapsed time soaking or simmering on their own, they take under five minutes of your time, in small increments. First, I buy the freshest dried beans I can find, typically organic, often local, sold in bulk at stores with a high turnover. I also favor Rancho Gordo beans, which we can now get locally (I stock up at the San Francisco farmers market whenever I travel west). Expensive but worth it, especially for formerly rare heirloom varieties. 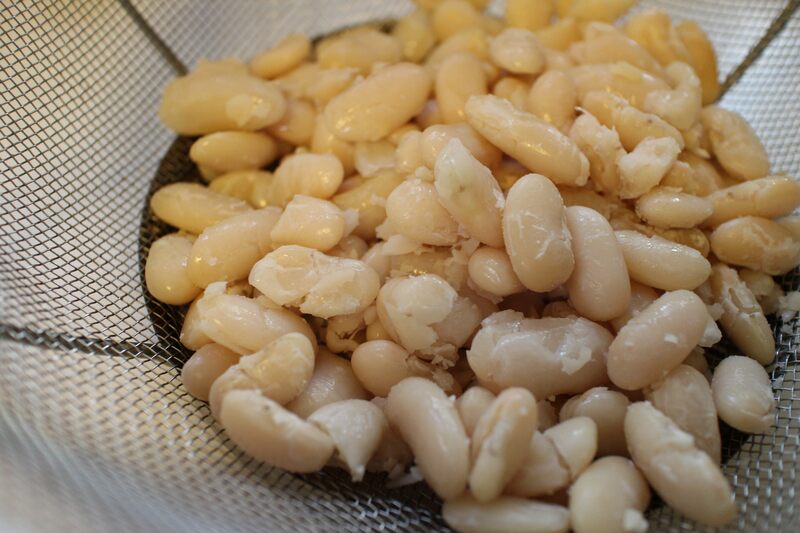 These beans are Ayocote Blanco, a joint project between Rancho Gordo and farms in Mexico, known as the XOXOC Project. In response to a recent question, this is how I cook dried beans on the stove (with a note for doing it in the oven). After rinsing the dried beans in cool water to remove dust and checking them to pull out any small stones, I place them in a deep pot covered with water, three times the volume of beans. I leave them to soak for a few hours (not longer for recently dried beans since the skins will loosen). I liberally salt the water, adjusting the volume if the beans have swelled a lot, and bring it to a bare simmer over medium-high heat. As soon as the surface of the water starts to move slightly (but before it comes to a real simmer), turn down the heat to the lowest possible setting (use a metal plate between the burner and the pot) and cook until tender, anywhere from 30-60 minutes. (You can instead put them into a 200-degree oven in a covered, heavy Dutch oven. Check them every so often to regulate the heat and test for tenderness. When cooked, remove the beans from the liquid to a bowl to cool and reserve the liquid. If using the beans right away, dress them (e.g., with olive oil and vinegar) when warm. If storing, return the cooled beans to the liquid and store them in the refrigerator for a week or so or in the freezer.